I must admit that I chose not to put the title of this writing in the first person. Perhaps, in an egalitarian spirit, I wanted to identify with any audience member or newspaper reader, who might be offended by a particular music review of a favorite recitalist. Part and parcel of such displeasure, might include registered doubts about the role of an arts critic and what he or she aims to accomplish. 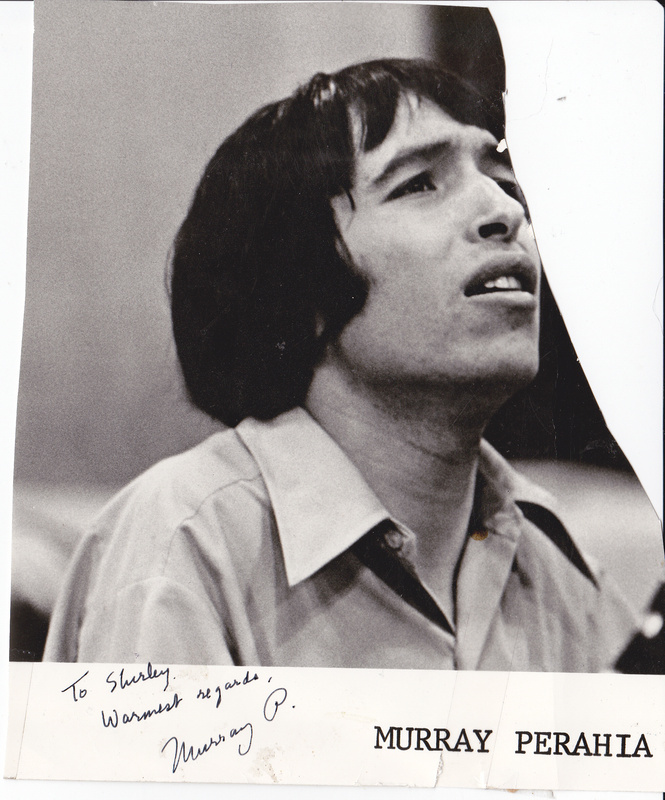 Here in Fresno, the late Allan Skei, who was our Bee music reviewer, often skirted around performances and got himself entangled in matters related to the comportment or posture of a pianist. I vividly recall, the great poet of the piano, Murray Perahia being an undeserving target. Naturally, my visceral response was to shoot back a rebuttal which is still at large. But to my best recollection, I argued that Perahia’s balance on the bench, and the few faces that he made, had no influence on his exquisitely rendered performance of Schumann’s Kreisleriana among a sprinkling of Mozart and Beethoven sonatas. On April 2, 2009, following Murray Perahia’s concert in Avery Fisher Hall, I was astounded to read yet another set of tangential remarks this time contained within a review by Anthony Tommasini, published in the New York Times. “When an artist is as gifted and accomplished as the pianist Murray Perahia, he should be cherished on his own terms. Mr. Perahia played a magnificent recital at Avery Fisher Hall on Tuesday night, giving sensitive and exciting performances of works by Bach, Mozart, Beethoven and Brahms. The music lover in me who esteems great pianism could not have been happier. “But as someone who also wants the field of classical music to be dynamic and adventurous, I have always been puzzled by Mr. Perahia’s conservatism. His forays into 20th-century repertory have been limited, with occasional exceptions, as when he worked with Benjamin Britten in the last years of his life and then became co-artistic director of the Aldeburgh Festival in England during the 1980s. “On Tuesday it was enough to bask in Mr. Perahia’s artistry and cheer, which the audience certainly did. In his performance of Mozart’s Sonata in F (K. 332), for example, Mr. Perahia balanced lyrical grace with whimsical flights. Only someone who appreciates the Mozart operas could have brought out the operatic playfulness of this piece the way Mr. Perahia did. “Still, it was a bit of a letdown to have this particular Mozart work, played by many intermediate-level piano students, filling out a program featuring works by the three B’s. Imagine if Mr. Perahia had played a piece by a living composer who also reveres Bach, Beethoven and Brahms, like Leon Kirchner, or something by a young composer that might have provided a fresh jolt. “Point made. Mr. Perahia is a tremendous artist who has had to face serious challenges, notably a finger injury that caused him problems over many years. His technique seemed flawless on this night. Technical execution and musical gesture are one in a Perahia performance. “He opened with a wondrously direct and natural account of Bach’s Partita No. 1 in B-flat. The undulant grace of his playing was enlivened by keen attention to inner voices, sly emphasis of syncopations and lucid contrapuntal detail. “Beethoven’s “Appassionata” juxtaposes contained intensity and sudden outbursts. But Mr. Perahia de-emphasized the music’s stunning contrasts, bringing organic sweep and eerie control to a magisterial account of the work. There was plenty of onrushing excitement in the breathless finale, but also milky colorings and structural coherence. “Best of all was Mr. Perahia’s exhilarating performance of Brahms’s Variations and Fugue on a Theme by Handel. In this technically daunting piece Brahms takes a highly ornamented little theme by Handel and transforms it into a series of impishly imaginative variations. It was great fun to see Mr. Perahia, a poet of the piano, cut loose in the wild Hungarian dance variation, complete with crash-bang fortissimos, and dispatch the virtuosic, octave-strewn final fugue. “Mr. Tomasini, I had previously e-mailed you compliments on your Bel Canto NYT interactive, but I can’t resonate with praise for your April 1 review of Murray Perahia’s Avery Fisher Hall recital. First, who created that abominable header which dealt an instant injustice to the artist who has more than proven himself a prolific, poet of the piano over decades….. Whether he chooses or not to play contemporary music during a long, established career is his preference. “I appreciate hearing from you, though we clearly disagree. I think I express extreme admiration for Mr. Perahia’s artistry. But I cannot critique the conservatism of our major orchestras and then say nothing about an artist like Mr. Perahia. Consider this. Murray Perahia has said many times that he can contribute to the field by devoting himself to the great composers he reveres, like Beethoven and Brahms. But Beethoven and Brahms fought all their lives against conservative musicians, promoters and critics who had attitudes about new music much like Mr. Perahia’s. Beethoven would have had scant respect for such a conservative musician. “Mr. Tommasini, Thank you for your reply. I don’t see the value of injecting “politics” into this discussion, ( i.e. “conservative” musicians) Lord only knows where such narrow labeling in the musical universe can lead. “If Perahia honestly stated that he did ‘not understand’ the music of Schoenberg as the main reason for his not performing the composer’s works, then let’s respect the pianist’s honesty and not demand that he conform to a standard forced upon him by ardent contemporary music lobbyists. “Since you are a pianist, as I am, we would understand that in several lifetimes the vast literature of the Baroque, Classical and Romantic eras could not be adequately explored. Perhaps Perahia, has realized, especially into his sixth decade, and having endured a traumatic and plaguing thumb injury, that performing Classical literature is where his heart lies. “It appears that Tommasini doesn’t recognize the inappropriateness of preaching his personal agenda in a review of an individual who brings his personal artistic voice to the world. His comments are just out of place–it’s kind of embarrassing, like some uncouth person you’ve invited to a dinner party who compliments you on the prime rib but wants to know why you didn’t also serve catfish and pickled cupcakes. “I had occasion to give a masterclass at the Brooklyn Conservatory of music. Before my presentation I heard Tommasini deliver his familiar oration on the fact that he sees the 3 B’s too frequently on programs, and why not more varied, imaginative programs. ‘Again the Moonlight Sonata,’etc. ad nauseum. “It was a full house and he asked for comments. I stood up and delivered an oration that would have resulted in anyone else but him socking me. I told him that music critics like him are poisoning the public against serious music. I chastised him for making that comment in a music school where young musicians will first encounter the Moonlight Sonata, and other time-honored masterpieces that will change their lives. He knew who I was, and he knew that I taught the art critic of The Times, Michael Kimmelman since Michael was 5. “He made a feeble attempt to defend himself, but I believe that I won. Please share the bones you’ve picked with music critics and if you, like Seymour Bernstein, registered a public or private reply. Previous postWhat “authentic” edition should a piano student use when learning repertoire of the Masters?